Sorry everyone, but it looks like we won’t be seeing Sarah Silverman on HBO anytime soon. Sorry to a smaller number of people as well, but the same is also true of Topher Grace. The network decided to pass on the Paul Feig–directed People In New Jersey, the comedy pilot starring Silverman and Grace as the adult children of Patti LuPone. 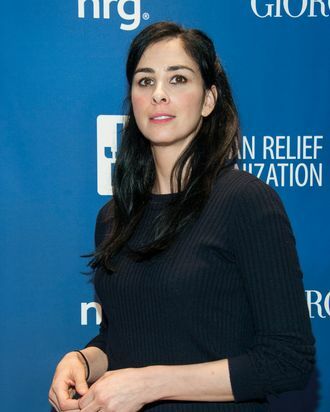 HBO will also be “retooling” a pilot from former Late Night With Jimmy Fallon writers Diallo Riddle and Bashir Salahuddin, possibly by adding more Sarah Silverman, though we wouldn’t hold our collective breath over it.